World’s only preserved PZL P.11c airplane, in collection of the Cracow Muzeum Lotnictwa Polskiego (Polish Aviation Museum), is a machine from the 121. Eskadra Myśliwska (Fighter Squadron) marked with “white 2” tactical number and 8.63 military serial. During the fights of September 1939 it was flown by, among others, 2nd Lt. Wacław Król, excellent pilot and one of the leading aces of the Polish Aviation. Król was an officer of the Cracow III/2 Fighter Wing. 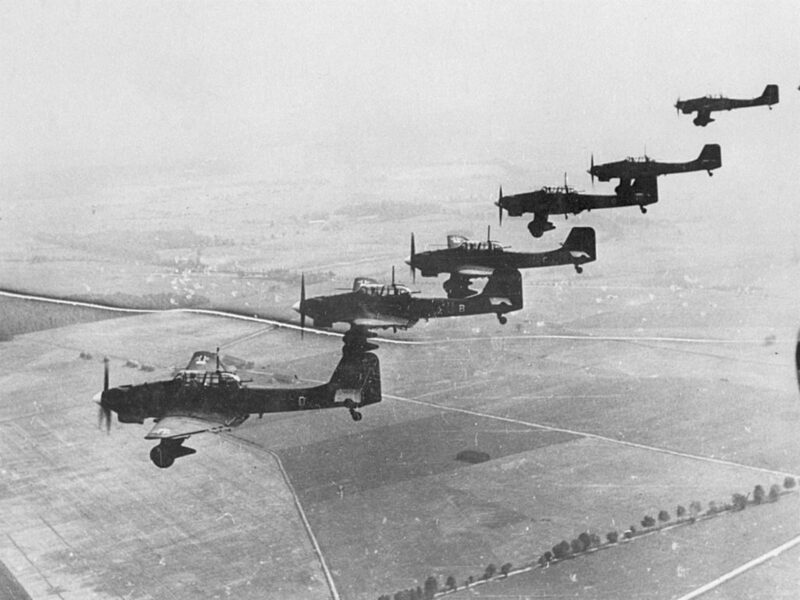 This unit, in September 1939 including two squadrons (121. and 122. 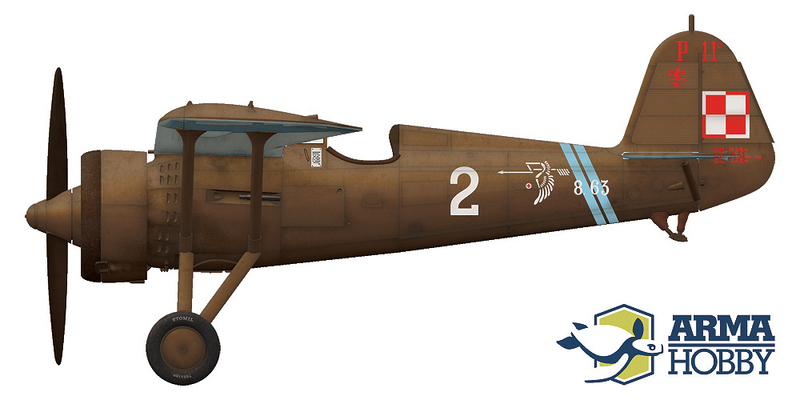 ), was the first Polish fighter group which clashed with the German invader. Here is their first combat story. Third squadron of the Cracow Wing, armed with PZL P.7a fighters 123. Eskadra Myśliwska, already in August 1939 has been incorporated into the Pursuit Brigade defending Warsaw. Read more on this topic in the article about PZL P.7a “white 5” of 2nd Lt. Erwin Kawnik. Cracow III/2 Wing was based very closely to the border of Germany. In 1939, due to constant threat, it was well prepared to the war. Already on 31st August its airplanes left their home base in Cracow-Rakowice and flew to well camouflaged Balice field landing ground. Four airplanes with eight pilots, chosen from both Cracow squadrons, led by Wacław Król, since 20th August stationed on the field ambush organized on the forward Bielsko-Aleksandrowice airbase. Combat readiness was very high. On 1st September, already before the German attack, the alarm flight from 121. Squadron since 4.00 a.m. was ready to scramble from Balice airfield. The take-off was ordered immediately after 5.00 a. m., after the phone call informing about the German agression. Three airplanes had been sent to the Cracow area, where at 5.29 Poles have spotted a Dornier Do 17 formation and alarmed the commander on the ground by radio. Few minutes later three fighters were scrambling from Balice, this time from 122. Squadron, and immediately after them another three, from 121. Squadron, led by the commander of the whole Wing, Cpt. Mieczysław Medwecki. About 5.10 a. m. also two pairs of fighters took off from Aleksandrowice ambush. Among them there were “white 2” of Wacław Król and “white 8”, marked with “paper horse” of 122. Squadron. The World War II in the air has just begun. The following events have been described many times, and every version is slightly different. The clash of the Polish fighters and German bombers coming back from the raid against Cracow was pretty chaotic and surprising for both sides. The Poles initially were not sure who they oppose, some even thought that these are Polish Łoś bombers performing training raid. The Germans have been not aware that they were flying over camouflaged Polish aifrield and that the enemy fighters had been earlier relocated there from their home base on Rakowice. Undoubtly the death of Cpt. Mieczysław Medwecki, shot down by Sgt. Frank Neubert, is the first death of the Allied pilot in WWII and the first aerial victory of WWII in general. PZL P.11c piloted by the Cracow Wing commander has been attacked during the take-off, before it reached enough speed and had no chance to survive. But here the researchers start to disagree with each other. Most probably Medwecki’s wingman, Cadet Władysław Gnyś, after the loss of his commander was so shaken, that poorly remembered what happened next, or even got lost for some time in the air, and as a result his later reports are not coherent. Especially controversial is question of Gnyś’ victory over two Dornier Do 17 bombers over Żurada village near the town of Olkusz east of Cracow. The fact of the two Dornier’s crash is unquestioned and confirmed not only by the written documents, but also by the wrecks photos. But the real cause is loudly disputed, especially German researcher Marius Emmerling states that the Dorniers had probably been initially damaged by the anti-aircraft artillery and finally have collided in the air and fell down without Gnyś’ participation. On the other hand, Polish historians tend to attribute this victory to Gnyś, noting that the reports of the witnesses on the ground agree that they have seen Polish fighter attack shortly before the Dornier’s crash. Pilots of the Cracow squadrons delegated to Aleksandrowice airfield acted on the first day of the war independently on the rest of the Wing. The ambush commander, Wacław Król, with three other pilots was in the air since 5.10 a. m., using all four available fighter airplanes. Among them was his personal “white 2” (serial 8.63) and the “white 8” from 122. Squadron (serial 8.34) piloted by Władysław Chciuk. The Germans came in few minutes. Soon after the take-off, over Pszczyna, Król (with his wingman Paweł Kowala) has attacked and chased away German reconaissance airplane, described as Henschel Hs 126. It might have been misidentified Heinkel He 46 from 2. (H)/31 army reconaissance flight working for 5th Panzer-Division, which actually has been crashed after the Polish fighter attack (the German observer, Lt. Birey, lost his life). The second pair of the PZL P.11c, piloted by Sgt. Leopold Flanek and Cadet Władysław Chciuk, clashed with the group of Stukas coming home after bombing of the Wadowice (hometown of the future Pope John Paul II). The Poles managed to damage one of the German bombers (its wing had to be replaced at the base). At the same time Król’s pair chased away another German rec. During landing after that action Cadet Chciuk has broken one undercarriage leg of his “white 8”. As a result of this unlucky event, next sorties of that day were performed with two aiplanes at the same time only, the third undamaged fighter has been kept in the reserve. with broken leg had been left in the Aleksandrowice airbase, where in was soon captured by the advancing Wehrmacht and became subject of many souvenir photos. Although there are a lot of various data about the “white 2” history available, both written and picture, many aspects are still unknown, and some informations are contradictory. So, while a complete reconstruction of the “white 2” curriculum vitae is impossible, we can summarize what we really know. The main dossier of the airplane can be found in Andrzej Morgała book Samoloty wojskowe w Polsce 1924-1939 (Warplanes in Poland 1924-1939), which includes tables with all the aircraft used by the Polish Military Aviation. 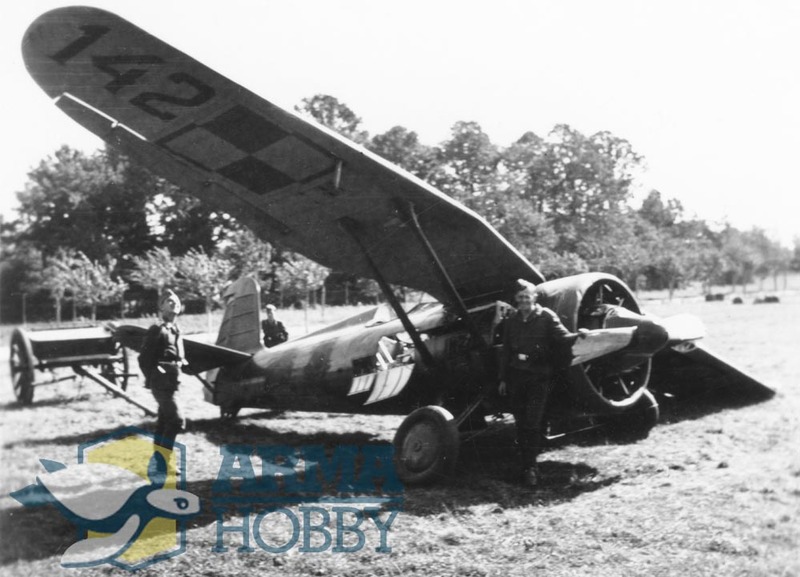 About our PZL P.11c with military serial “8.63” we can read there that it has left the Warsaw PZL factory on 29th November 1935 with factory serial 562 and since 1936 till the War it served in 121. Eskadra Myśliwska of the 2nd Air Regiment in Cracow. Morgała gives its initial tactical underwing number as “39 E”, which is confirmed by the report from examination of the airplane paint layers performed in Cracow Museum in 1987. Letter “E” suggests initial assignment to the regimental training squadron, probably during rearmament from the PZL P.7a to the “elevens”, and it was later replaced with “K”, proper for the combat unit. Some informations about the wartime life of the airplane we know thanks to its pilot, Wacław Król’s letter to the head of the Museum, written in 1967. The fighter ace had at that time been informed that the airplane survived the war and is preserved in the Museum collection. The pilot decided to share his knowledge about his machine, asking simultaneously how the airplane made its way to the Museum. Numerous air victories, described by Król as performed on this airplane, are for sure exaggerated, but the general idea of using “white 2” by the Squadron deputy commander on the Aleksandrowice ambush and later fights sounds credible (“white 1” was assigned to the commander). Information about evacuation of this airplane to Romania after Soviet invasion on 17th September is false, as the documents state clearly that Król flew at that time the PZL P.11c serialed “8.113”. Also Król is not mistaking “his” “white 2” from 121. Squadron with the other ”white 2” of the Cracow Wing, from 122. Squadron, as that airplane was serialed ”8.93” and its wreck has been captured and photographed by the Germans. PZL P.11c ”8.63” was probably captured by the Wehrmacht around 8-10 September and after installation of the separately captured, previously unused PZL-Bristol Mercury engine (serial no. 4202) has been sent to Berlin Deutsche Luftfahrtsammlung (German Aviation Collection) where it remained in exposition as a war trophy almost till the end of the war. Several photographs made on the exhibition are known. These suggests that the airplane was in Poland armed with 4 machine guns (in Berlin guns are already removed, but one can see the holes for the barrels in wings and empty case ejector chutes). One of the Berlin photos show that the blue arrow on the top wing surface is overpainted. Before the end of the war, during one of the Allied bombing raids, the hall of Berlin collection has been hit. Remaining collections has been evacuated to the East and stored in then-occupied territory of Poland. 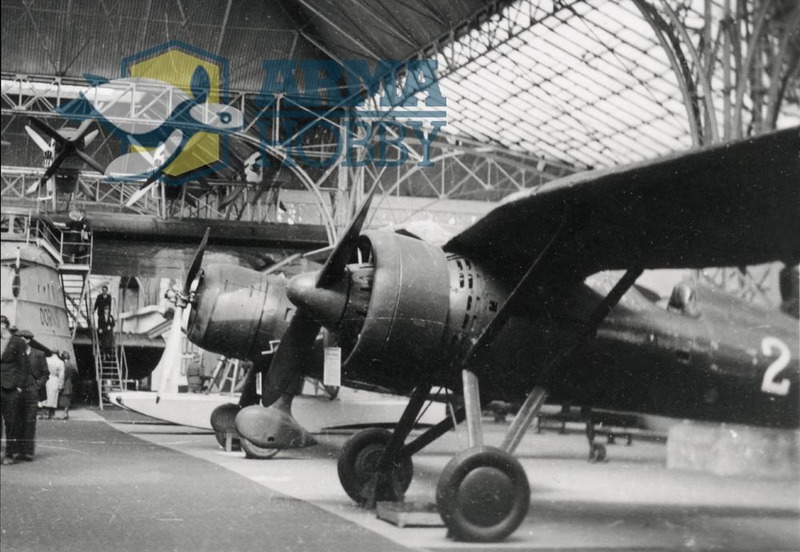 After the war the airplanes, including our PZL P.11c, have been found and given to the newly created Museum of the Aviation in Cracow. Since ‘60s the PZL P.11c “white 2” is pride and a symbol of the Museum and can be seen there as a part of the main exposition. Markings of both aircraft descried in this article are included in P.11c junior set kit.